Located approximately 30 miles from Houston, nestled between the San Jacinto and Trinity Rivers, this bedroom community is a well kept secret. Baytown provides its residents a haven for quiet suburban living. On January 24, 1948, the towns of Goose Creek, Pelly, and Baytown were officially consolidated. After the votes were counted, the name of Baytown was the chosen. Being a peninsula and bordered by the waters of Galveston Bay, Burnett Bay, Tabbs Bay, and Black Duck Bay, this town was suitably named. In the early 1900s, after oil was discovered near the coast of Tabbs Bay, offshore drilling began operations in the Goose Creek oil field. This later led to the Humble Oil & Refining Company constructing a refinery in Baytown. This industry became the cornerstone for the community. Today, several plants and refineries are located in Baytown. Exxon Mobil, with its oil refinery and chemical plant, employs a large portion of the community. 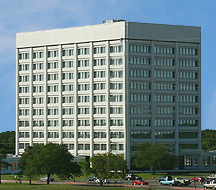 Its 10-story office building, sometimes called the “White House”, is the tallest building in Baytown. Bayer Baytown Industrial Park and Chevron Phillips Chemical Company also help support a population of over 66,000 people. While Baytown is often thought of as an industrial park, it takes great care to preserve its land and waters. This town boasts over 40 outdoor recreational parks. It provides protection to the native plant and wildlife at the Baytown Nature Center, found on Bayway Drive off of Spur 330. 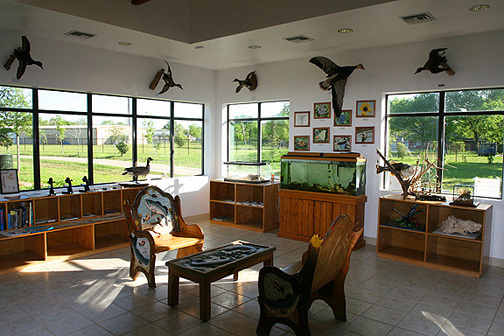 And the Eddie V. Gray Wetlands Center, located on Decker Drive near Lee High School. 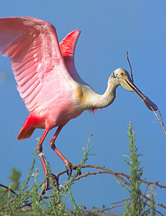 The nature center, home to over 300 species of birds, covers 450 acres and is located at the peninsula’s point. 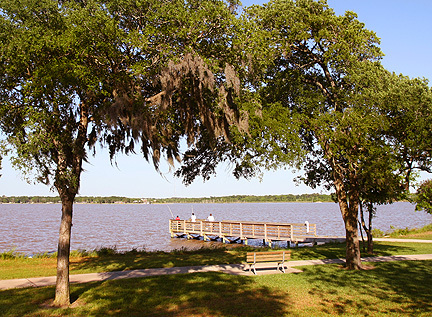 The wetlands center, situated along the banks of Goose Creek, provides water access via a public boat ramp as well as a pier for viewing water scenery at a more leisurely stroll. Summer science camp, boating safety, and hunter education are a few of the programs offered by the center. Anyone visiting will find a plethora of accommodating hotels along I-10. 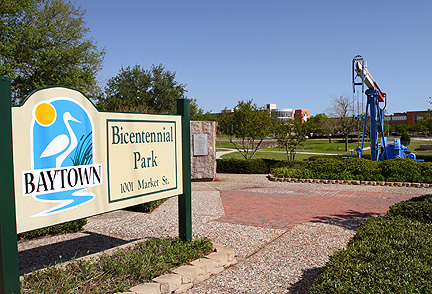 Baytown is perfectly situated to many local attractions. Several historic attractions are found by taking SH 146 south. Considered a landmark, the Fred Hartman Bridge, which replaced the Baytown-La Porte Tunnel, spans the Houston Ship Channel. 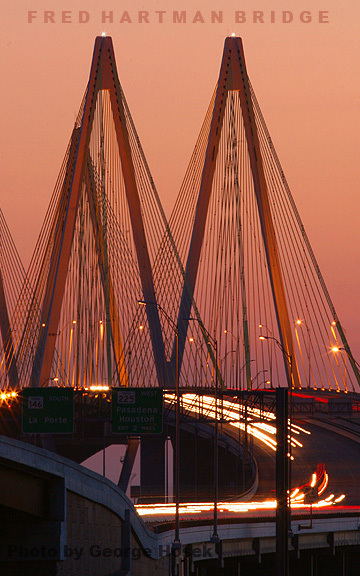 The bridge, named for The Baytown Sun’s former editor, is the longest cable-stayed bridge in Texas. From town, it is a quick 15 minutes to the San Jacinto Monument ( located in La Port, Texas ). Erected in honor of Texas’ independence from Mexico, it is the world’s largest war memorial, proudly standing 15 feet taller than the Washington Monument. Next door is the Battleship Texas, the first battleship memorial museum in the United States. Both of these commemorative structures are protected by the Texas Parks and Wildlife Department at the 1,200 acre San Jacinto Battleground State Historic Site off of SH 225. If history doesn’t sound stimulating, then travel north on SH 146, turn right onto FM 565, and head north. Soon, the noise of rumbling jet engines fills the air. Extending over 440 acres with an additional 400 reserved for further development, Houston Raceway Park provides edge of the seat entertainment in hot rod drag racing. The park boasts of an exclusive contract with National Hot Rod Association for the Powerade Drag Racing Series and hosts the O’Reilly NHRA Spring Nationals. 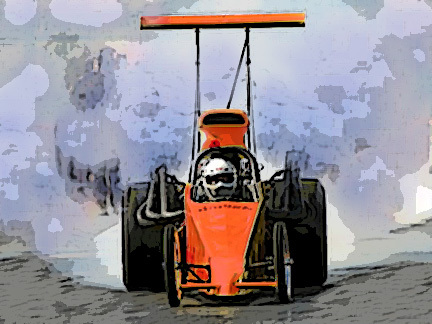 Many NHRA professional teams use the track to train for the upcoming season. If drag racing is too civilized, then be sure to check out the park’s dirt track racing on Saturday night. With its multitude of restrooms and concession stands, the park is ready to accommodate 30,000 fans for an electrifying and thrilling evening. 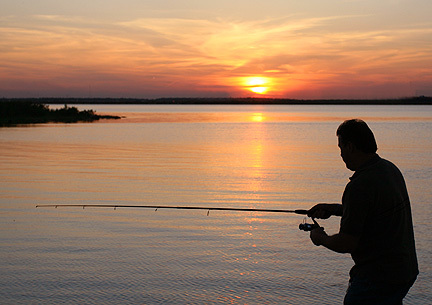 When attention turns to leisure time, Baytown's many recreational opportunities encourage individual excellence, as well as family involvement. The Baytown Parks and Recreation Department oversees 730 acres of parks, two municipal swimming pools, a spray park, a large sports complex with lighted softball fields, and tennis courts scattered throughout the community. Organized activities include softball, tennis, flag football, baseball, soccer, track, youth and adult recreation classes on various topics and swimming lessons. Waterways around the area provide fine fishing ( fresh and saltwater ), bird-watching opportunities at the Baytown Nature Center, and for sun-worshipers - Galveston's beaches are only 45 minutes away. Lee College has been a fixture in the Baytown community for 70 years, and each year it continues to surpass expectations. Lee College has been listed as one of the nation's top degree producing community colleges. The U.S. Department of Education's National Center for Education Statistics has listed Lee College as the number six institution in granting associate degrees in service technologies. 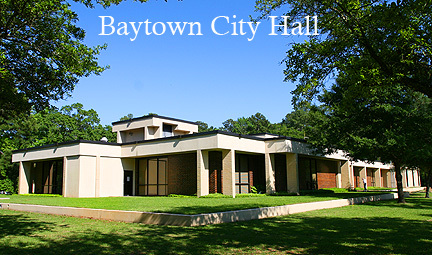 Since 1948, Baytown has been a continuously growing community. New housing development is evident along I-10 and SH 146. The town’s school district, Goose Creek Consolidated, supports 21 schools and has more in the process of construction. Although long standing, the rivalry between the Robert E. Lee and Ross S. Sterling High School may end with the addition of a new high school. This additional space will offer a more comfortable learning environment for this booming community. Before going on a day’s adventure, it might be necessary to fill up on some edible fuel. For a superbly simple sandwich, Colonial House of Sandwiches on Garth Road, between Rollingbrook Drive and SH 146, is a local favorite. Because they are only open during lunch, just ask for the order to go and enjoy it later. If a hearty burger is sounds juicy, then try Someburger Hamburgers, which is situated across from Sterling Municipal Library on Decker Road. 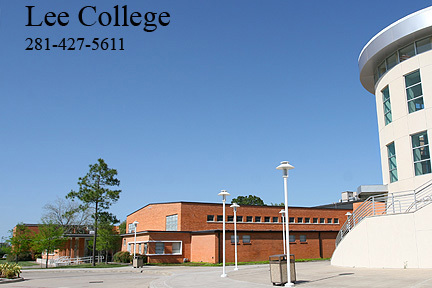 It’s popular with the students and faculty who attend Lee College, the resident community college, just down the road. In Texas, Mexican food is a staple. Baytown is no exception. There are a myriad of small Tex-Mex eateries, which offer anything from freshly made tortillas to deep fried chimichangas.Ask any Baytownian which restaurant he prefers and the answer will be either Luna’s or El Toro’s. When it comes to Tex-Mex food, there is a quiet rivalry amongst the town’s citizens. Both restaurants have outgrown their modest beginnings and have constructed more accommodating buildings which feature sit-down bars and banquet rooms for sizeable parties. Whereas Luna’s offers outside dining and a Mariachi band on the weekends for guests’ enjoyment, El Toro has two smaller restaurants for a quieter dining experience. However, if Tex-Mex food is not on the menu, there are several well-know restaurant chains, such as Chili’s, Cracker Barrel, and Johnny Carino’s Italian Restaurant, on Garth Road and I-10. Baytown’s humble beginnings laid the roots for its future expansion. On Sjolander Drive, near I-10, a historic landmark stands to commemorate Texas poet John Peter Sjolander. His poem, “Cedar Bayou”, describes the essence of Baytown. And work, and pray, and love.